7. 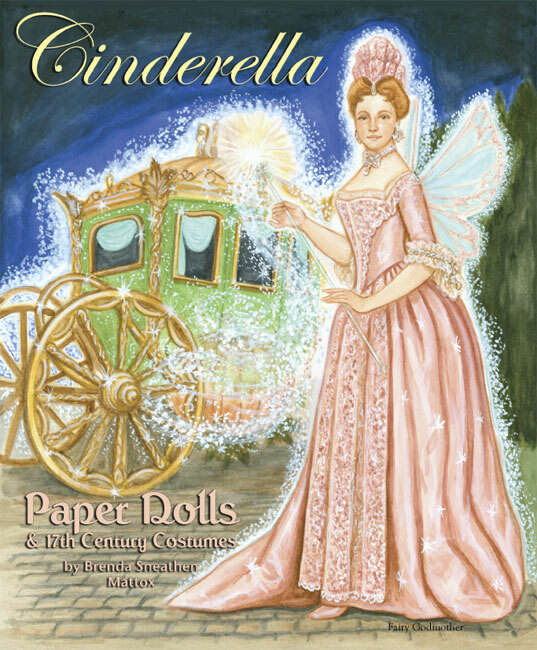 Let's Play Paper Doll Christmas! 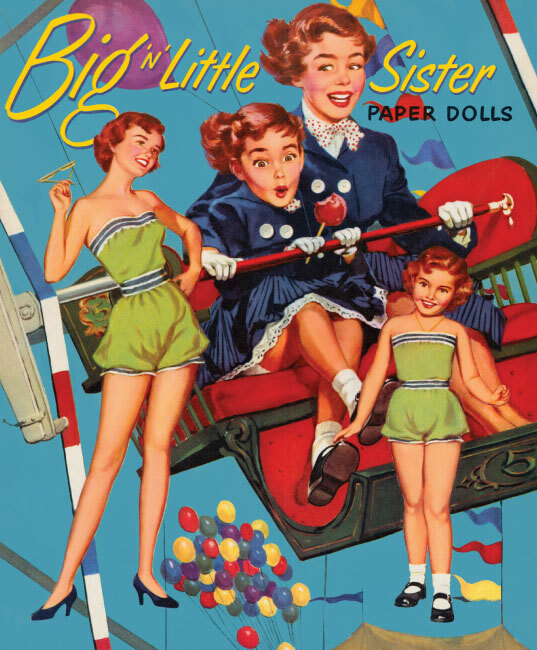 Paper dolls, or cut-outs, as they were often known in times past, have always charmed children as playthings. 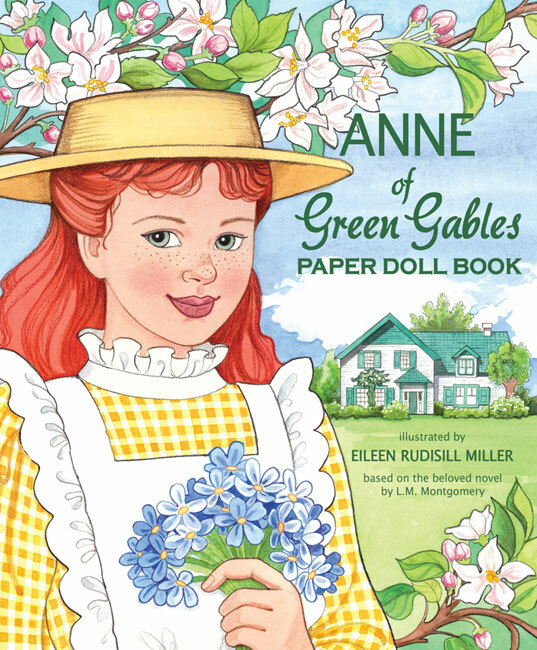 Often children were the subject of paper dolls books and they continue to charm, harking back to a time when childhood was simpler, more innocent and low-tech. 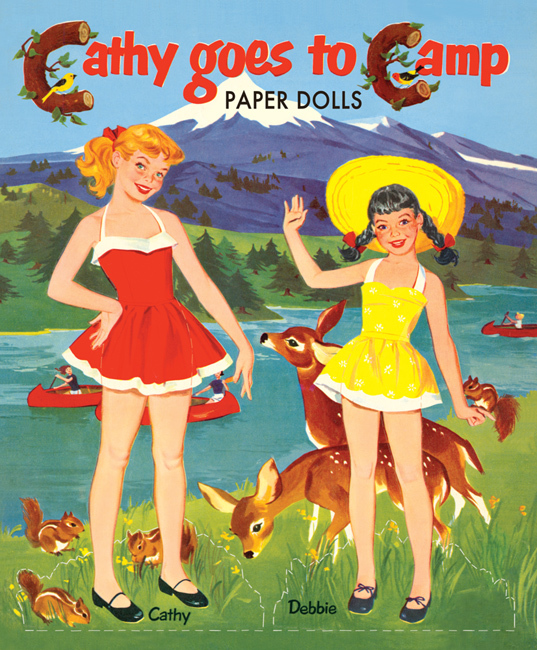 Paper Studio Press offers nostalgic paper dolls of children that recapture the sweetness of the '30s, '40s and '50s. Happy, carefree and cute as can be. 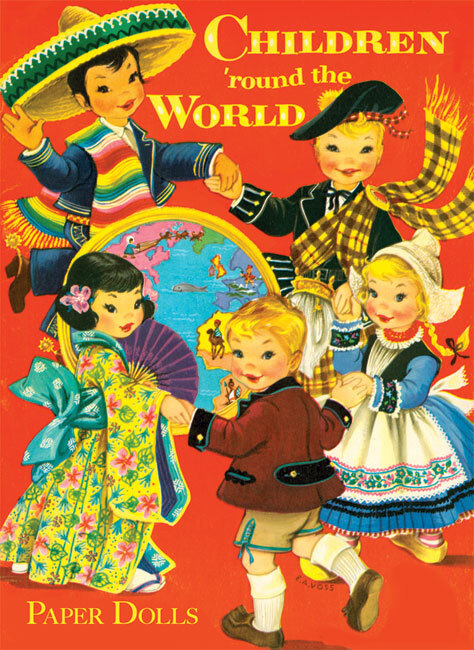 Little girls and little boys with wardrobes to cut-out and dress the delightful young paper dolls. 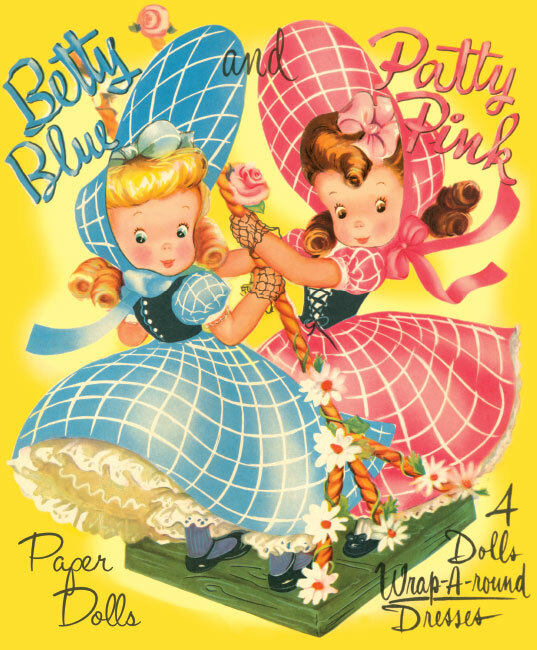 Dress four sweet stand-up dolls in 16 old-fashioned outfits awash with ruffles, ribbons and bows--all in shades of pink and blue. 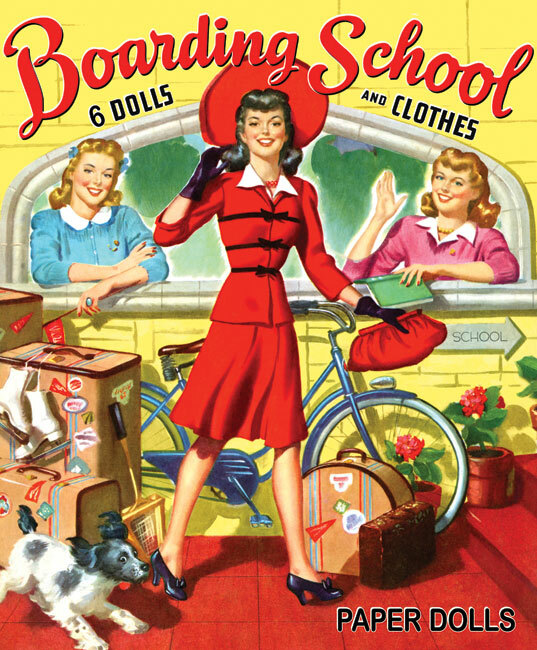 There are 30 fashions and accessories in all, including dimensional wrap-around skirts! 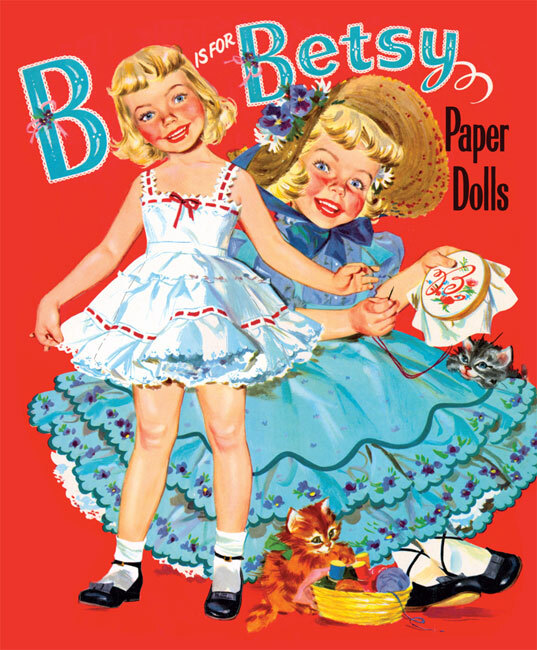 This retro-vintage 1949 reproduction paper doll book is a nostalgic reminder of sweet by-gone times when little girls had storybook daydreams instead of smart phones.